Tibet’s spiritual leader the Dalai Lama’s designated successor the Panchen Lama, Gedhun Choekyi Nyima, has been missing for nearly two decades. In Thailand, Somchai Neelapaijit, the chairman of the Thai Muslim Lawyers Association, disappeared nine years ago while providing legal assistance to Muslims accused of involvement in violence against security forces in the country’s troubled south. More recently, a prominent Lao civil society leader Sombath Somphone, who has been critical of the government’s policies for the poor, vanished after being stopped at a police checkpoint. In all three cases, governments are believed to be behind the disappearances. Enforced disappearances—the detention of persons by the state, usually the military or police, followed by a refusal to reveal their fate or whereabouts—has become a major human rights concern in Asia. “Asia, the largest region in terms of land mass and population, has registered the highest number of recent cases of disappearances,” said Mary Aileen Bacalso, secretary-general of the Asian Federation Against Disappearances (AFAD), a coalition of human rights organizations working directly on the issue of involuntary disappearances in the region. Asia has also the least number of mechanisms and domestic laws to resolve the scourge, Bacalso said. Actual numbers of disappearances in Asia are hard to come by because documenting cases has been so difficult, especially in countries under repressive regimes or in continuing armed conflict situations, rights groups say. They believe there are tens of thousands of “disappeared” people in Asia but only a fraction of this number are officially reported because relatives of those missing fear punishment from the authorities. Some relatives investigating the disappearance of their loved ones have told experts about the risks of speaking out, according to the U.N. Working Group on Enforced or Involuntary Disappearances—which assists families in determining the fate or whereabouts of disappeared relatives. “Shortly after submitting our cases to the Working Group, police officers started visiting our homes asking us why we had ‘sued’ the government,” the relatives were quoted saying in a report from the group marking the International Day of the Victims of Enforced Disappearances on Aug. 30. Still, Asia bears the “biggest portion” of the 45,000 outstanding cases before the U.N. working group, said AFAD chairman Mugiyanto. In the 2012 annual report of the U.N. working group, among other Asian nations, Sri Lanka accounted for 5,676 “reviewed and outstanding” cases, the Philippines 621, Nepal 458, Timor Leste 428, India 353, Indonesia 162, Pakistan 99, Thailand 71, China 30 and North Korea 20. These cases are just the tip of the iceberg in the actual number of disappearances, rights groups said. In Tibet, the Panchen Lama, Gedhun Choekyi Nyima, was just six years old when he was kidnapped by the Chinese authorities in 1995 after he was identified as the reincarnation of the second-highest monk in Tibetan Buddhism by the Dalai Lama, who is living in exile in India. “China’s continuing incommunicado detention of Panchen Lama is the most explicit proof of its government undermining and violating the freedom of religious worship and practice in Tibet,” said the Dharamsala, India-based Tibetan Centre for Human Rights and Democracy (TCHRD). As Gedhun Choekyi Nyima entered his 18th year in Chinese protective custody at an undisclosed location, Tibetan rights groups complain that scores, possibly even hundreds, of Tibetan monks, activists and laypersons have gone missing—probably taken into custody by the Chinese authorities amid a growing wave of opposition to Beijing’s rule in Tibetan areas. Also in China’s troubled Xinjiang region, rights groups report that thousands of Uyghurs have disappeared in the aftermath of the July 5, 2009 deadly riots between mostly the ethnic minority Muslim group and Han Chinese in the regional capital Urumqi. The exile World Uyghur Congress (WUC) has documented more than 30 cases of Uyghurs who have been forcibly taken away. It “continues to receive countless reports from concerned Uyghurs in East Turkestan [Xinjiang] whose loved ones have disappeared, some for longer than four years now, “ WUC President Rebiya Kadeer said. In the Inner Mongolia Autonomous Region of China, rights groups have highlighted the enforced disappearance of ethnic Mongolian dissidents, activists, writers, students and ordinary herders who have been protesting the destruction of Mongolian grasslands and Beijing’s governance of the resource-rich region. There has also been no accountability of the possibly hundreds of abductions of Japanese and South Koreans carried out by agents of North Korea’s hardline communist government many years ago. In Southeast Asia, countries such as Thailand, Indonesia, the Philippines and Laos are on the receiving end of attacks by human rights groups for their alleged failure to get to the bottom of the problem of enforced disappearance cases. Among the most well known cases in Indonesia are those involving pro-democracy activists who disappeared during the height of the anti-dictatorship movement against President Suharto during the 1997/98 period. There are still 13 missing persons who disappeared during that period, feared abducted by the military because of their political activism toward achieving genuine democracy in their country, rights groups said. There has also been no justice for victims in Thailand, where the authorities have failed to honor past pledges to resolve cases of enforced disappearances and hold those responsible to account, U.S.-based Human Rights Watch said. 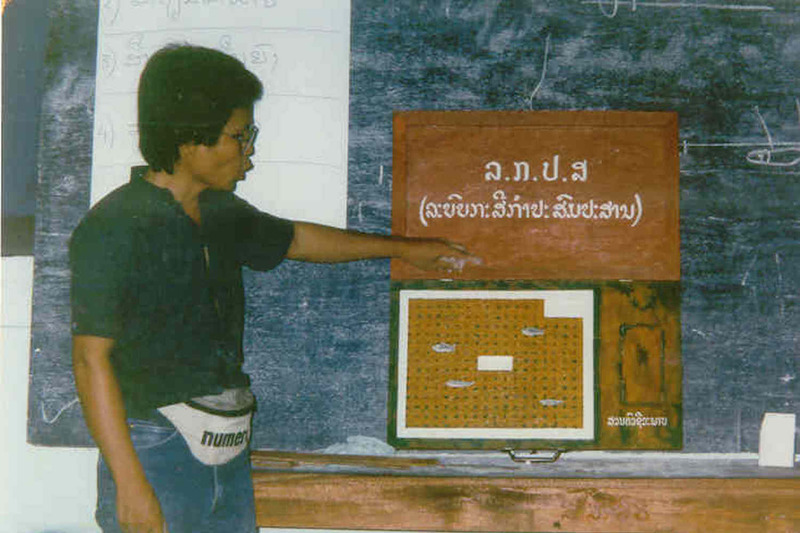 In January last year, Nasulan Pi became the 39th person to have disappeared since 2002 in connection with the government’s counterinsurgency operations against Muslim insurgents in Thailand’s southern border provinces. He was last seen being forced into a car and driven off by two armed men in military uniform. There has also been no breakthrough in the case of Thai Muslim lawyer Somchai Neelapaijit, who disappeared in 2004 a day after he had publicly accused the police of torturing his clients, who were in detention. Enforced disappearances also occur beyond Thailand’s southern border provinces, Human Rights Watch said. The Justice Peace Foundation, a well-respected Thai human rights group, has documented such cases in other parts of the country since 2011—including 12 people from the northern region, five from the western region, and seven from the northeastern region. Southeast Asia’s latest high profile enforced disappearance case has been reported in Laos, where prominent civil society leader Sombath Somphone vanished in December last year after being stopped by police at a checkpoint, according to police surveillance camera footage. “The Lao authorities’ likely involvement in Sombath’s disappearance has been compounded by the police’s failure to conduct thorough investigations, which suggests a cover-up,” rights group Amnesty International said. Recently, she said she wanted to reach out regarding one case which was reported to the U.N Working Group but was told that the family wants it to remain confidential. “Such is the scale of fear, and that is why the perpetrators in Laos can continue to act with impunity and know that they will face little or no consequences,” she said in an online message. The irony is that the very crime of enforced disappearance is not recognized by most Asian governments. Only four Asian countries—Japan, Kazakhstan, Iraq, and Cambodia—have ratified the International Convention for the Protection of All Persons from Enforced Disappearance, which aims to prevent the crime, uncover the truth behind the cases, punish the perpetrators and provide reparations to the victims and their families. Undeterred, associations of families of the disappeared are pushing their governments to sign and ratify the international convention. In human rights terms, enforced disappearance is considered the “mother of human rights violations,” Sombath’s wife Ng said. A disappeared person is a “nonperson,” and until the person’s whereabouts and proof of life or otherwise are known, “the family is left in limbo—left waiting without any possibility of closure; left hanging between hope and despair,” she said.